Last week Lorena from The Mommy Diaries nominated me for the Versatile Blogger Award! I was super happy to receive this award. It came at the right moment as I’m hoping that in 2015 I will blog more. I enjoy this little corner of the internet that I have created for myself. WordPress has been great. I have met some wonderful blogging friends here— like Lorena. Please check out her blog. She shares her adventures and a young mom with two adorable children. She has gone through many challenges and has overcome a lot in her personal life but her positivity and love her her “littles” shines through. 1- Show the award on your blog. 2- Thank the person who nominated you. 3- Share seven facts about yourself. 5-Link your nominee’s blogs and comment on their blogs giving them the good news! 1-I make an amazing banana bread. 2- I love bright colors. They make me happy. 3- When home alone I blast my music as if I was 15, sing a lot, but very badly! My poor neighbors. 4- My office is the subway. That is where I blog, write emails, read and catch up on the news. 5-I am obsessed with journaling- hence the blog. In my journal I have started to add drawings to my daily entries. Its fun and relaxing. 6- I have a glass or two of wine every night. Its therapeutic. 7- I’m already longing for the summer. Winter just began…..
To my nominees- you don’t have to post this on your blog if you don’t want to. No obligation. You guys are busy and may have already received five of these. Its really just a high five- I just really like your blog. Cheers! Adventures in Rain Tree Land– Mom is a designer working at H&M and has the most adorable little boy. Her blog is filled of beautiful mother and son photos. There is so much joy. Journey2Dfuture A british gal living in Poland with her sweet son and husband. She is about to have another baby. A Nugget of Joy– Written by Zee, a mom in Singapore. She writes about family and fun. It has been beautiful to watch their daughter Aly grow. Then she welcomed a new son. And Three To Go– A family who travels around the world with their toddler daughter. Finding Cooper’s Voice– This is an amazing blog written by a mom in Minnesota. She has two children Cooper and Sawyer. Her love for her boys is so powerful. I enjoy her honest writing. Hanson’s Health – Personal Trainer who writes interesting articles on fitness and health. Our Life in 3D– Blog about a dad and his two small daughters. They have endless fun together. Oh boy! We have entered the terrible threes. Forget about the terrible twos. That is a myth. 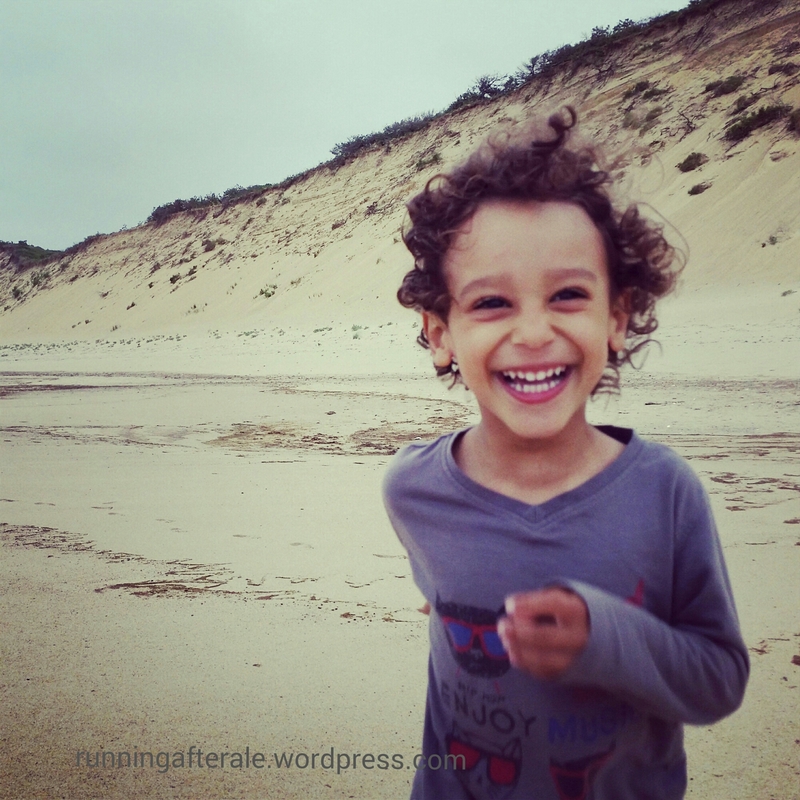 Three years old comes with so many more unforeseen challenges. I’m not talking about temper tantrums. That is to be expected. At three Ale is now aware of the world around him and is trying to find his place and make sense of it. This is where fear sets in. Now the unfamiliar is SCARY. After “no” the most common word that Ale says is “scary”. I know now that the word has come to have many nuances as Ale’s vocabulary is still limited but fear is fear. This holiday season I was told numerous times that Santa is scary. 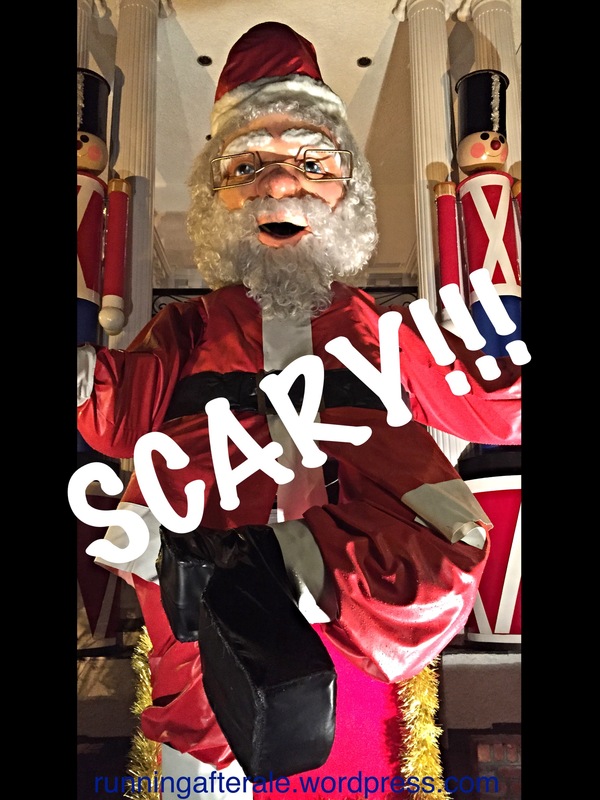 It’s true Santa is scary. I mean he was everywhere in various forms. Live Santas at the grocery store ringing bells. Others wanting to pat him on the head. Santa cut outs, statues, and inflatable Santas. Thank goodness we were not around the SantaCon events . Now that would have really freaked him out. Hundreds of Santas drunk with elves on the streets of New York. So on Christmas morning there was no way I could tell Ale that his gifts came from Santa. He would not have opened them. The gifts came from Mama, Papa, and grandma no where near the North Pole. Maybe next year we can reintroduce the idea of Santa. Maybe. The other huge fear he has is of cats and dogs. He just screams bloody murder whenever he sees one. I’ve had to leave stores where small dogs shopping with their owners became frightened by his screaming. I’ve crossed streets to avoid a large dog walking in our direction. I have even had to change play date venues because the family has a cat. The poor boy even has nightmares about cats. It’s the nightmares that bother me the most. It pains me to see him working through an abstract event that frightens him. There I have no control. I can’t jump into his dream and make it better somehow. I just can hold him when he wakes up. Ale has even told me that sleeping is scary. What can I do? I want to protect him from everything. It’s already apparent that I’m limited. Soon kisses and sips of water won’t cover all the woes of life. Now that scares me. Even though it was Ale’s day off from pre-school we joined them for today’s field trip. How could we pass up a visit to the local firehouse on 11th street! The firefighters were happy to welcome the group of twenty – three and four year olds. As a token of our appreciation we first we gave them a bag of homemade cookies. Then we got right to it and asked them our research questions. How does the water get into the hose? How do you learn how to be a firefighter? Do you ever have scared feelings? Do you go down a pole? What is the best thing about being a fireman? How do you know where the emergency is? After this fascinating Q&A session the kids were allowed to climb into the fire truck! Suddenly, the alarm sounded calling out the number of the fire truck – engine 220. The firemen looked at each other and politely asked us to go with urgency in their voices. We all ran out of the firehouse to make room for the truck to leave. The firemen then jumped into the truck and sped off. We looked at them go in awe and waved saying “Be safe. Thank you!”. After the truck turned the corner we slowly made our way over to a resturant for pizza amazed at their bravery and generosity. I can hardly believe it. Ale has been in underwear for seven days now. With my luck he is peeing in his pants as I write this post! It all happened quite suddenly. We had been doing underwear only at home for about a month. Yes, it was like having a puppy at home. Ale would pee on the living room rug.- “Ooops! Mama! Look! Pee pee!”. He would crawl under the dining room table and say “Mama, caca coming!”. Then I would grab him and make a mad dash to the bathroom- and get him on the potty before he pooped on himself. Then the Ah Ha! moment for me came. I dropped off Ale at his preschool and saw a boy a bit younger than Ale tell his teacher that he just had an accident. He wanted to change his clothing. I realized then and there that I had to bite the bullet and just go full on potty training. Ale is three years old. He knows when he has to go and has a dry diaper in the mornings. It’s now or never. Plus diapers are expensive and our family is coming to visit us at Christmas time. I must impress them with my parenting skills! So that was it. The law of the land became underwear all the time except at bedtime. I showed Ale his stylish Thomas underwear and bribed him with ice cream. It worked! Ale soaked up the praise and gobbled down the ice cream. No more accidents at home and none so far at school. We have yet to tackle the extended time away from home potty issues. Nor do I have a clue yet as to what to do in a gross public bathroom. We will get there soon. I’m just so proud of my little man in boxer briefs whose favorite word is now: fart. I do have to give a honorable mention to the book Potty by Leslie Patricelli. We began to read this about a year ago when I thought it was time to start introducing the idea of the potty to Ale. He hated the potty but he loved this book. It made him laugh so hard. Its also written cartoon style so that he can “read” it by himself. I still keep it in the bathroom and Ale reaches for it as his tinkles and toots. 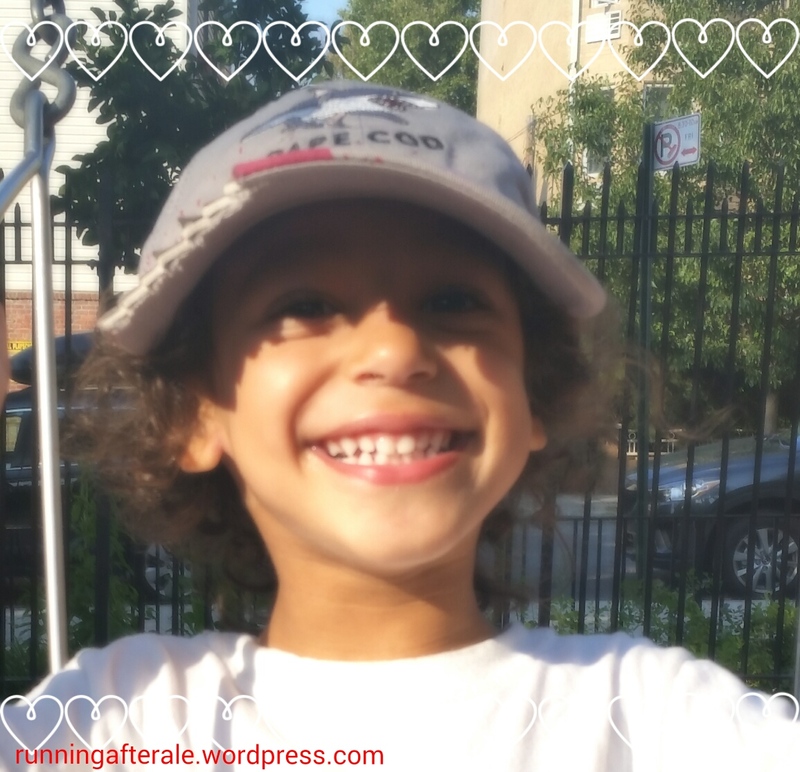 Check out this post from January about my first attempt at potty training. While waiting on line at the pharmacy to buy cough drops Ale was doing the usual toddler things. He rearranged the stacks of gum and chocolates at the check out counter. He began to make believe he was a digger – “VAROOM! GHHEEHGGGGG! BEEP BEEP!”. Then all of a sudden he wrapped his long, thin arms around my legs and said “Love you mama. Love you mama”. I said “What?? ?” I could not believe my ears. Ale replied, “Love you mama. Look a tunnel! ” and pushed himself between my legs and became digger all over again. I love you baby. I love you. 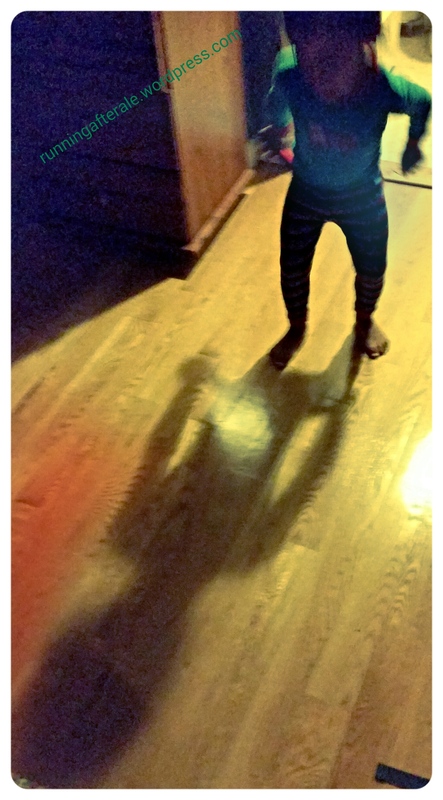 This week Ale discovered his shadow. We went out for brunch on Sunday. When we left the restaurant the sun was high and casted shadows on all of us. Ale excitedly pointed at his shadow and shouted, “Look! Look! Shadow! “. For the rest of the day he tried to jump into or catch his shadow. Two and a half is so much fun! Ale is constantly discovering new things about himself and the world around him. It helps us to rediscover the magic around us. Shadows are indeed amazing.